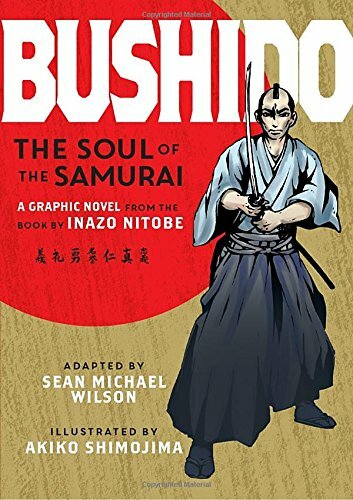 The seminal work, Bushido: The Soul of Japan, first published in 1900 in English, introduced Americans to the history and culture of the samurai and paved the way for similar works on feudal Japanese warrior ethos to be released to the West. The author, Inazo Nitobe, was a Japanese academic1 who traveled widely, spoke English, and wrote extensively on a number of subjects for both scholars and laypeople. Bushido2 was actually written in the States where it was well received, though in Japan it did not receive praise until 1985 when Nitobe's likeness was put on Japanese currency. Though coming from a samurai lineage, I could not find any sources to indicate Nitobe himself was a practitioner of martial arts. Subsequent parts of the book deal with aspects of the sword, training, and self-control, each accompanied by tasteful artwork. Mind you, this is an adaptation of the original. At any rate, this graphic novel format is well done and worth checking out. 1. Nitobe's accomplishments are dizzying. He held doctorate degrees in economics and law, and positions in numerous world organizations such as The League of Nations, just to scratch the surface. Little wonder he had no time for martial arts training. Despite his academic achievements, he felt insight and wisdom were more important to develop than intellect. 2. "The way of warriors." 3. 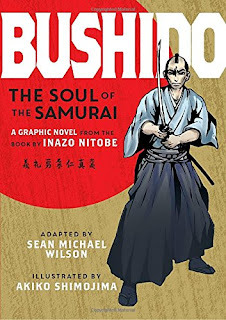 The new author, Sean Michael Wilson, has done graphic novel adaptations on other Japanese classics, such as Hagakure, The Book of Five Rings, and The 47 Ronin.